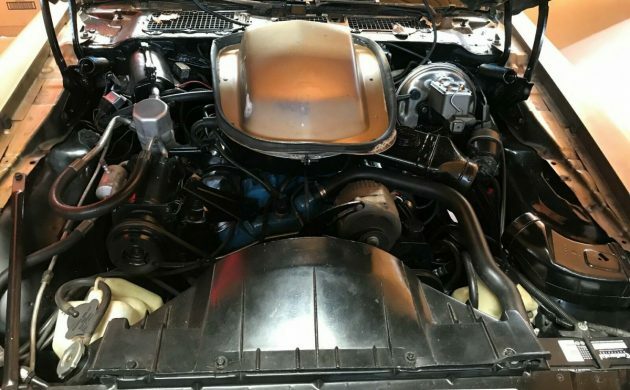 While this 1978 Trans Am will require some cosmetic work, the new owner should not need to outlay one red cent on mechanical work, because not only has everything been rebuilt, but all of the work is still under warranty. 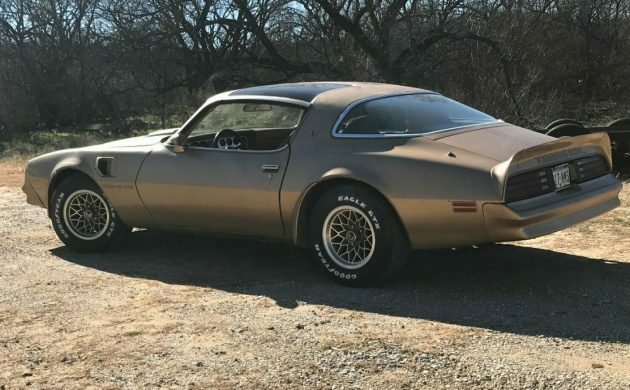 Located in Bedford, Texas, the Trans Am is listed for sale here on eBay. The first thing that I noticed when I looked at this Trans Am was the distinct lack of visible rust. 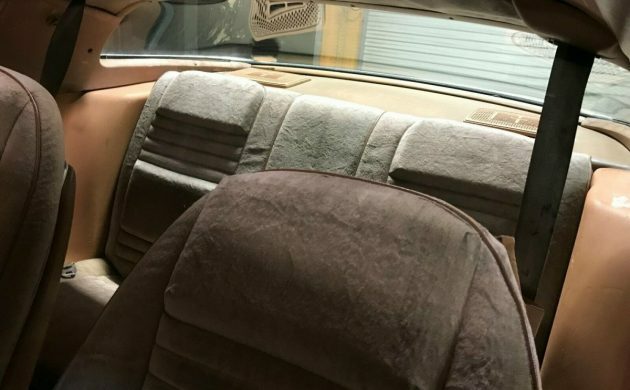 The owner doesn’t give us any details about the state of the floors or frame, but the outside of the car looks to be quite solid. There are a few minor dings on the body, the paint looks a bit tired, and the decals have all seen better days, but it really looks like it will only take a few minor repairs and a repaint to get this Trans Am back to its best. A look at the interior shows no obvious watermarks which can signal faulty seals on the T-Top, so it all looks really promising. Under the hood looks as clean as a whistle. 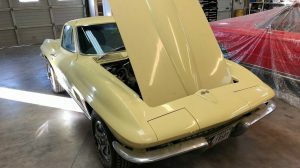 The numbers-matching 400ci has just been rebuilt, as have the 4-speed manual transmission, the suspension, and the air conditioning. The car is also fitted with a new exhaust, power steering, and power brakes. The owner has receipts for all of the work, and the warranties for all of it will transfer to the new owner. 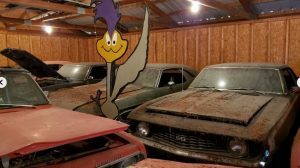 In addition, the owner has the window sticker, the build sheet, 40-years of maintenance records and receipts, and some spare parts. All of these will go with the car. As it sits, the interior looks quite serviceable. There are no obvious cracks in the dash pad, and while the car has been fitted with an aftermarket radio/cassette player, it doesn’t look like the dash has been cut to fit this. It also appears that the owner has either utilized the existing speakers for this or has fitted new speakers to the existing enclosures. It’s a bit hard to get a good look at the seats or headliner, but they don’t look too bad from what we can see. the car is also fitted with power windows, power locks, and cruise control. 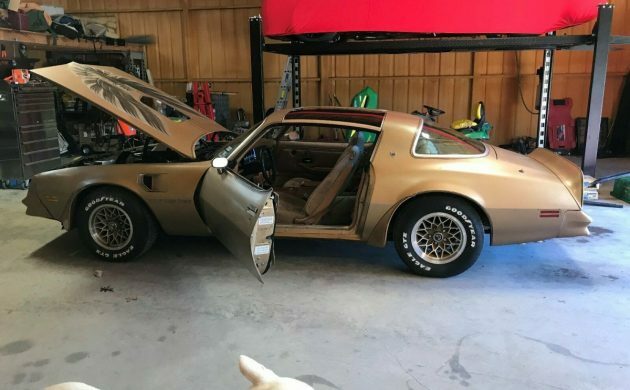 Judging by what we can see, it looks like the new owner of the Trans Am can drive and enjoy the car as it stands, and perform any restoration work at their own leisure. 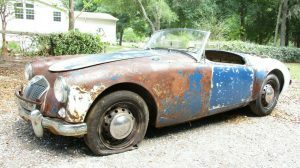 The owner is holding $13,000 in receipts for the recent mechanical restoration work, which is not an insignificant sum of money. At the time of writing, bidding has reached $15,200, but the reserve hasn’t been met. There is also a BIN option available at $19,500. 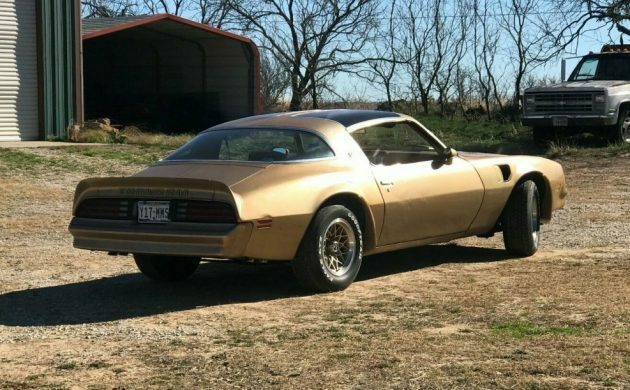 Do you think that this Trans Am will sell, and what price do you think that the owner will get? Nice car. The add says this is a Y88 special edition. If this were the case, the steering column would be tan to match the interior. The wheels should only be polished on the outer rim, the rest of the wheels should be gold. The grill inserts should be gold. The steering wheel and machine turned dash should be gold. I would be careful and look at the cowl data tag. It will be stamped Y**. Also, Y88 would be on the window sticker as a $ 963.00 charge. Nice to see the 400 motor vs the 403. 4 speed a plus. GLWTS. And it would have gold t tops I know I had one . When I was a little boy, my uncle had one like this but without the t-tops & standard vinyl interior. Same colors, drivetrain, so on. This uncle has become like a Dad to me since my Dad passed away, my cousins like brothers to me. I would LOVE to get this car & take my uncle for a ride in it. Hell, if I had the money, I would give it to him to make up for what happened to it. My Dad got drunk one night & borrowed it from my uncle (my uncle, in all honesty, insisted that my Dad take it from the bar, he had ridden his 1961 Harley panhead chopper to the bar & was too messed up to ride home on 2 wheels, proving that by being too drunk to drive home in 4 wheels lol) & @ over 90 miles per hour he decided to turn a corner, went through an apartment building & somehow was thrown from the car as it was rolling after exiting the building. 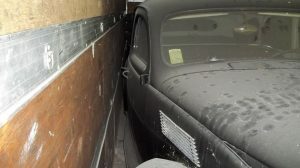 How he lived & no one else got hurt is a miracle! My uncle still insists he was never paid back for the car. As an aside, my Dad, who had some SEVERE drug & alcohol issues, died in a similar accident….sober! 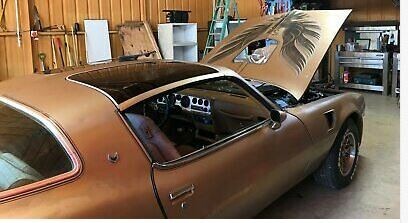 Wow a big block 400 4 speed t-top gold bird in good shape.It is a fun car to drive and own.You could do a lot worse for the money. Is the Pontiac 400 ci engine different than the rest of GMs 400 ci engines? Every 400 GM engine I ever worked on was a small block, is the Pontiac different? Pontiac engines are all made from the same block, no small block or big block. Just different bore & stroke. All GM engines are different. Chevrolet, Olds, Pontiac, Cadillac, each built their own, and parts do not interchange. Chevrolet built a small block 400 and a big block 400, which was actually a 396 in some form. Tony thanks for taking the time to enlighten me on some of this, I did not know of any these different flavors, I always knew there were differences but thought them only assundry differences. I will beware of these differences as need be. Thanks again!